Cheng Ting Hua was from Cheng Village of Sun district, Hebei Province. He opened a spectacleshop in Beijing and thus earned the nickname “Yanjing Cheng” (Spectacle Cheng). Cheng was very fond of the martial arts and studied many different styles. He was particularly proficient at Chinese Shuai Jiao (wrestling) before studying with Dong Haichuan. He started to train with Dong Hai Chuan when he was 28 years old. He trained in Bagua for 10 years before reaching a certain level of proficiency. Cheng was short but strong and was described as having an impulsive nature. It is said that many famous fighters challenged Cheng but no one could defeat him. There are many stories concerning the challenges to Cheng. One story describes the visit “The Divine Crushing Fist”, Hsing-I master, Kuo Yun Shen. Kuo was the famous master of Half-Step Crushing Fist who was undefeated at the time. Kuo had spent time in prison for killing an opponent without first checking his political connections. During his confinement, Kuo practiced his Half-Step Crushing Fist while dragging his ball and chain along. When he was released his primary technique was more powerful than ever. Now he wanted to test his skill against the famous Pa Kua of Dong Hai Chuan, but first he wanted to talk to Cheng, a fellow Hebei resident. Over dinner, Kuo expounded his theory that Half-Step Crushing Fist could defeat everyone under heaven. Cheng begged to differ and suggest that Dong Hai Chuan was not like ordinary men. Kuo tried to demonstrate his hand speed, but found his hand pinned to the table by Cheng’s chopsticks. Infuriated, Kuo marched out into Cheng’s garden and challenged Cheng to come out and taste the power of his Crushing Fist. As Cheng cleared the door, Kuo exploded at him. Cheng was suddenly behind him. Kuo wheeled and again exploded with crushing fist. Cheng effortlessly circled behind him and calmly went back in the house. He then called for Kuo to come in and finish dinner with him. His rage spent, Kuo complied. As they finished dinner Cheng explained that he didn’t want to really fight the famous Kuo Yun Shen, but that if he could avoid two of Kuo’s blows, perhaps Kuo shouldn’t risk his unbeaten record on Master Tung. It was only because they were all from Hebei province that he didn’t want to see anyone’s reputation tarnished. Kuo thanked him, rethought his position and returned to Hebei province. In July 1900, foreign troops entered Beijing. Legends has it that Cheng took the responsibility for defending the people from the invasion. He tried to defend himself against a dozen soldiers armed with only two daggers. His pupils tried to stop him, but to no avail. It was later found that Cheng single-handedly killed ten or more soldiers, but he died of multiple bullet wounds. Another story described how Cheng was killed by German Soldiers in 1900 during the boxer rebellion. In this story, Cheng was being work press ganged into a work detail so he pulled a short knife and was shot jumping over a wall in an attempt to escape. 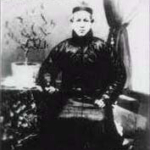 Cheng Yulung (eldest son, 1875-1928), Cheng Youxin (2nd son),Cheng Yougong, Feng Junyi, Gao Kexing, Gao Yi Sheng (1866-1951), Geng Jishan, Guo Tongde, Han Qiying, Hon Mu Xi, Kan Lingfeng, Li Cunyi, Li Hanzhang, Li Wenbiao, Liu Bin, Liu Zhenzong, Qin Cheng, Sun Lu Tang (1861-1932), Liu Dekuan, Yang Mingshan, Zhang Changfa, Zhang Yongde, Zhang Yukui, Zhou Yu Xiang, Zhang Zhao Dong (1859-1940). Among his students, the best known are his oldest son, Cheng You-Long (1875-1928 A.D.), his youngest, son Cheng You-Xin, Zhou Xiang (1861-? A.D.), and Sun Lu-Tang (1860-1932 A.D.). Sun Lu-Tang wrote two very valuable books in 1916 and 1925: The Study of Bagua Fist and The Study of Bagua Sword. In fact, one of master Liang Shou-Yu’s Baguazhang teachers was Zheng Huai-Xian (1896-1981 A.D.), who was a student of Sun Lu-Tang. Yan De-Hua, a student of another one of Cheng Ting-Hua’s students, Zhou Xiang, wrote a book: The Practical Applications of Baguazhang Maneuvers in 1939.57 In addition, a student of Cheng You-Long, Sun Xi-Kun, who wrote a book, The Genuine Baguazhang Maneuvers, also contributed a great effort in promoting Baguazhang during that period. Master Dong, Hai-Chuan students are Yin Fu who started Yin Style, Cheng Ting Hua who started Cheng Style, Ma Gui who started his style, Liang Zhenpu who started his style. The Shaolin Temple school teaches the Cheng style Baguazhang forms from both the father Master Cheng Ting Hua and his son Master Cheng You Long.